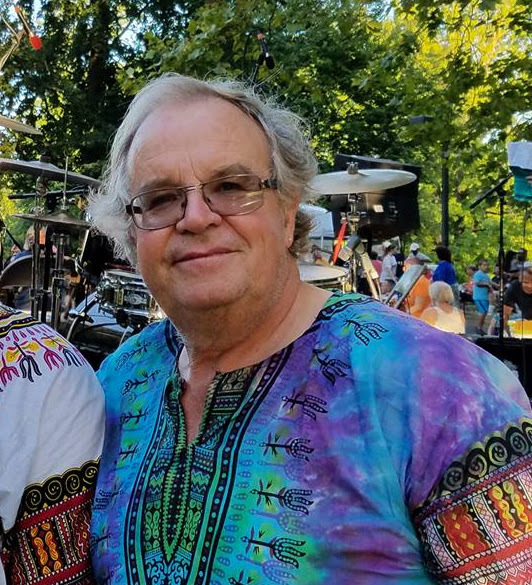 Terry Barber is a nationally recognized tropical rock ‘trop rock’ instrumentalist who play trombones, conch shells, harmonica, percussion, and many kinds of steel pan. Terry plays shows worldwide as well as in the Northwest. Several times a year, he plays Pre – Jimmy Buffett concerts for Margaritaville due to his diverse instrument capabilities. He has played with Jimmy Buffet and several of the Coral Reefers on numerous occasions. Terry has also performed with the Landsharks, Caribbean Chillers, Kingpins, Sam Rivers, The Blues Brothers, UB40, and countless other acts. Locally, he performs with Bel Mizik and his own Trop Rock Band: Tropical Storm.